Leaf, Berthoud Pass Summit, August 21, 2017. 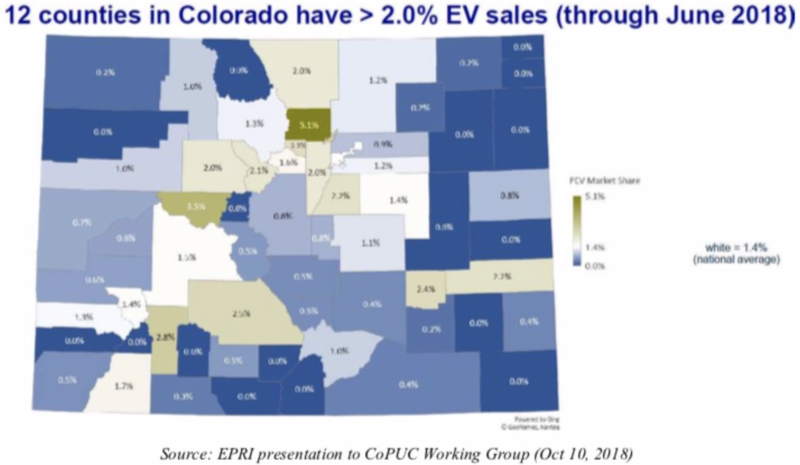 Will governor’s order push Colorado toward front edge of EV transition? In October, I asked former Colorado Gov. Bill Ritter what was the most important thing he hoped the next governor could do in the realm of energy decarbonization. Ritter paused not at all: Get vehicles electrified, he answered. Colorado Gov. Jared Polis issued his first executive order with the intention of doing just that. Taken together, these actions help establish Colorado as being the leader in the nation’s interior in this energy transition. As of last August, EVs constituted just 2.46 percent of all sales in the state. But virtually everybody—most importantly, automakers themselves—expects this to change dramatically in coming years. Polis is using two and possibly three strategies to accelerate the transition. First, he reshuffled the spending priorities of the previous governor, John Hickenlooper. Colorado had earmarked one-seventh of the nearly $70 million the state is to get as its share of the Volkswagen “diesel-gate” settlement, with the intention of using the money for charging infrastructure. Polis, in contrast, has put all the money into the EV basket. That likely will produce more money for local applications such as the charging stations along Interstate 70. Another idea is to use the money to help push the electrification of school bus fleets. Bus electrification, already in place in Sacramento and Westchester County, New York, eliminates diesel pollution to vulnerable children. But it could also be part of the conversion to more distributed storage, points out Bryan Hannegan, chief executive of Holy Cross Energy, which serves the Vail and Aspen areas. Polis’s order also called on the Colorado Department of Public Health and Environment to develop a rule to establish a Colorado zero emissions vehicle program, for possible addition to Colorado regulations by the end of October. This in effect elevated the requirements of vehicles sold by dealers in Colorado to include more EVs. Graphic via The Mountain Town News. Colorado, under Hickenlooper, in December adopted California’s stricter emissions standards, as have 13 other states. Those standards require automakers to improve the fuel efficiency of their vehicles, reaching an average fuel economy of 54.5 miles per gallons by 2025, which is almost double what it is today. But Colorado stopped short of adopting the zero-emissions standard now adopted by nine states. This raises the bar even more. In effect, it tells manufacturers that they’re going to have a more likely market for their EVs in Colorado. As such, they’ll make a point of offering more of their EV products here as opposed to, say, Houston or St. Louis or Chicago. Matthew Shmigelsky, an energy consultant to Clean Energy Economy for the Region, or CLEER, a community nonprofit based in Carbondale, points out that Subaru last year began offering a plug-in electric hybrid Crosstrek. The Crosstrek has been jokingly referred to as the Colorado state car, because of its popularity. Glenwood Springs has six dealers, and they all have electric models or hybrids. With some models now offering range of 200 to 250 miles and charging infrastructure improving all the time, there are fewer and fewer reason not to invest in EVs, says Shmigelsky. And the policies fostered by Polis will move the needle further. “It’s pretty big,” he said of last week’s executive order. But does it really matter if a car is fueled by electricity if the electricity is produced by burning coal or natural gas? Yes, but Colorado has pushed past that threshold as it switches to renewables. 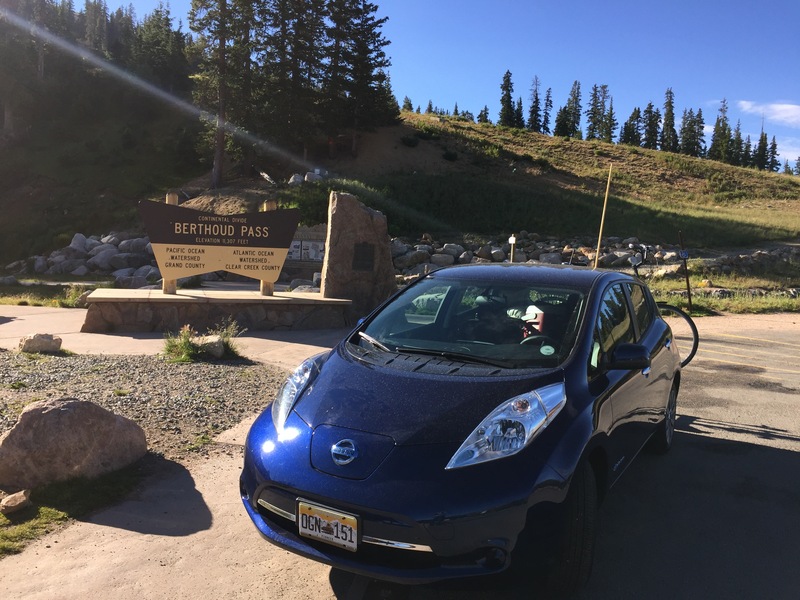 Matt Frommer, of the Southwest Energy Efficiency Project, or SWEEP, says an electric vehicle in Colorado that currently gets the equivalent of 47 miles per gallon—based on the carbon intensity of its electric supply—will by 2025 improve to 75 miles per gallon. Then, just a few years later, it gets all the way to 260 miles per gallon as Xcel substantially decarbonizes. A third element of Polis’s executive order is more difficult to gauge. That’s creation of a transportation electrification workgroup. It will be responsible for developing, coordinating, and implementing state programs and strategies to support widespread transportation electrification across the state. One final piece—only alluded to in the executive order—deserves mention. A bill has been introduced in the Colorado legislature that would allow Xcel Energy to sell electricity for car recharging directly, something it is now prohibited from doing. This gives Xcel a business interest in wanting to move ahead the acceleration. Polis’s order amounts to an acknowledgement of just what it will take to achieve the reductions in greenhouse gas emissions that climate scientists report we must make, says Erin Overturf, the deputy director of Western Resource Advocates’ Clean Energy Program. Vehicle electrification also amounts to good policy because of the public health benefits, such as in reduced ground-level ozone, but also in good economics. 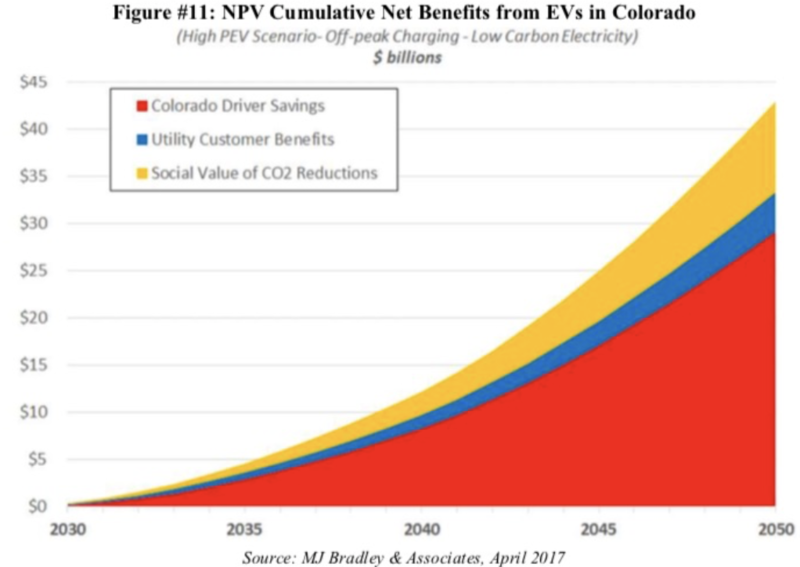 A 2017 analysis by MJ Bradley cited in the executive order found cumulative net savings to Coloradans of $43 billion from a large-scale transition to EVs by 2050. Even more interesting is the observation by Rutt Bridges, who spoke about his new book, “Our Driverless Future,” at the Colorado Municipal League conference in Vail last June. When we connected recently, Bridges told me that very few auto manufacturers had electric models in 2015. But within a year, nearly all had started heading down the electric path. It was a giant tipping point. This has obvious implications for demand of oil and gas, where Bridges had a good career as a geophysicist. But virtually none of the oil and gas companies, he said, seem to have drawn up plans for altering their business models. I’m still trying to process the implications of that simple observation. Addendum: On Wednesday, January 30, the Colorado PUC [discussed] a report of a working group appointed in May 2018 by the PUC. The Colorado PUC Electric Group Report runs 102 pages and had input from several dozen organizations, including Summit County, Grid Alternatives, and Tri-State Generation & Transmission. See the report here: CoPUC Electric Vehicle Report.